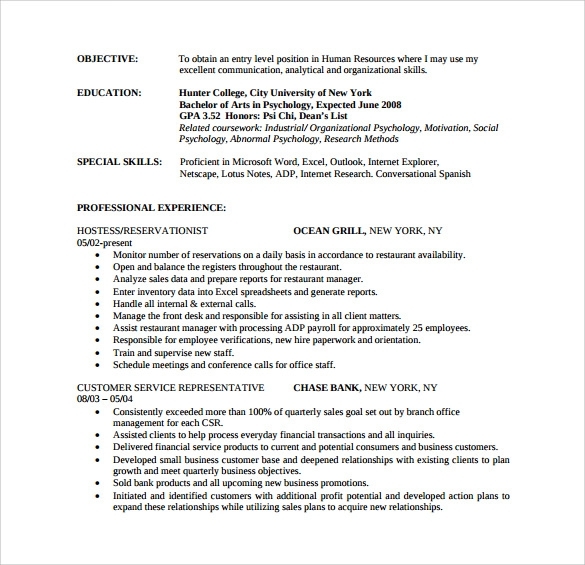 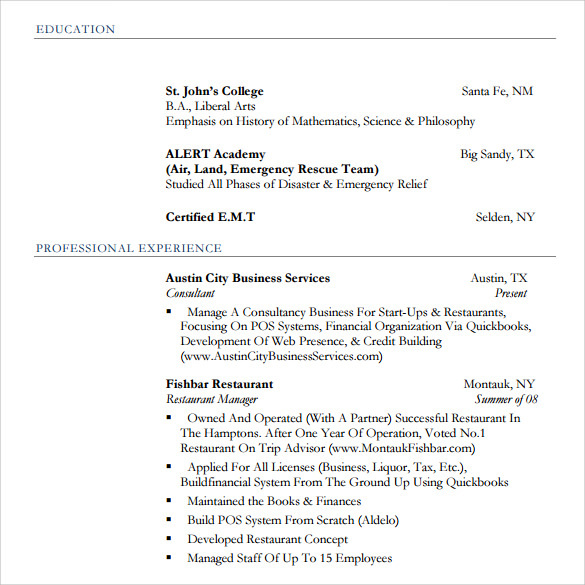 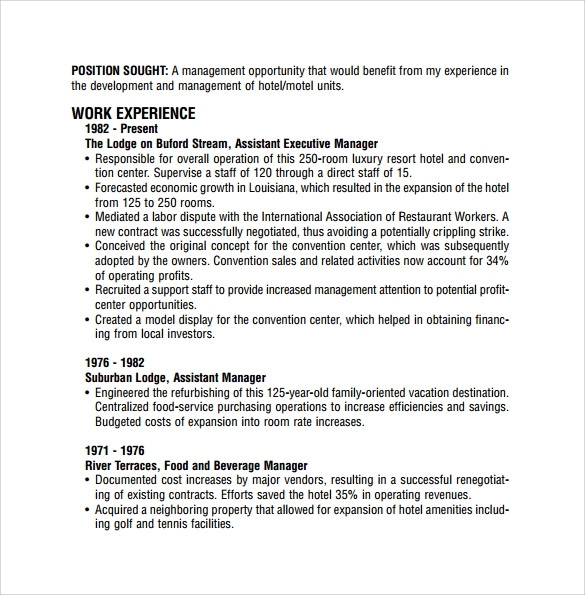 Restaurant resume is created by an individual who wants to get into food & restaurant. 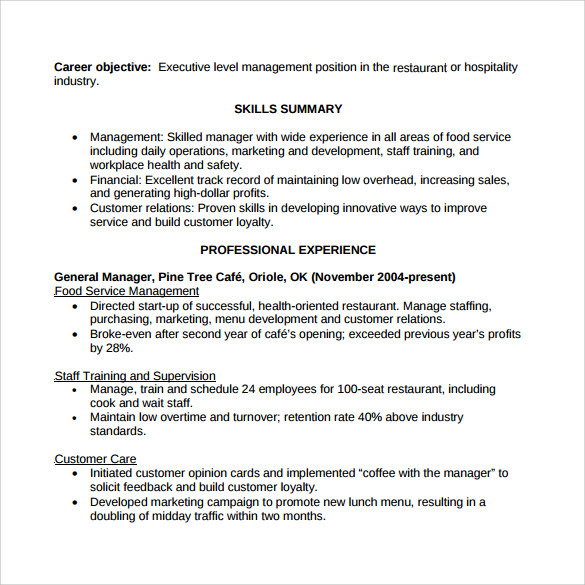 Food industry is rapidly changing and offers many jobs for an individual. 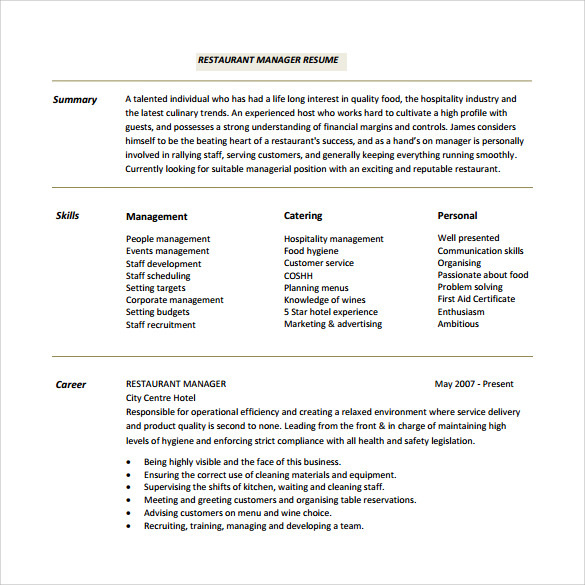 However, one needs to create an impressive Food Service Resume Templates to provide information on educational background and skills carrying on the same. 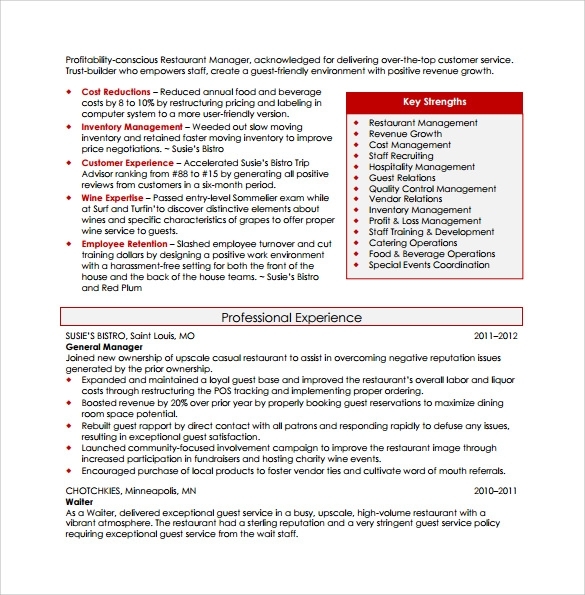 One can work in restaurants, pubs, and 5 star hotels. 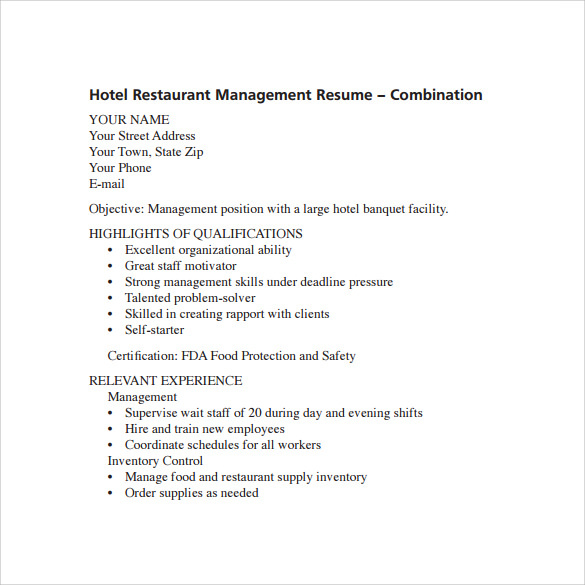 There are pre-written restaurant Free Resume samples in PDF or word document having all information required to prepare one. 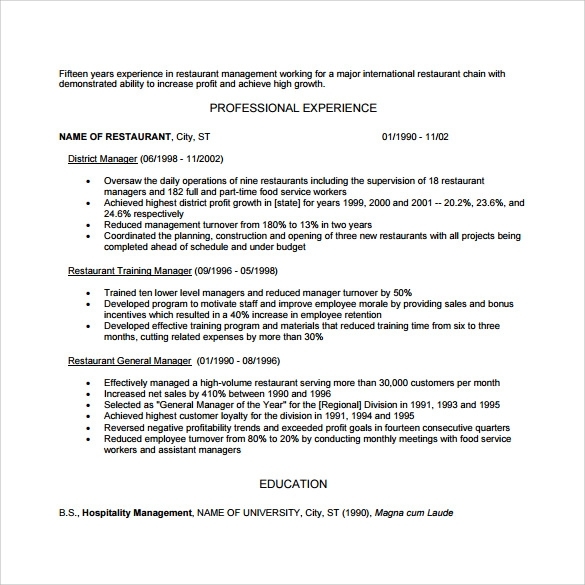 The restaurant resume should be quite impressive to get the job in restaurant. 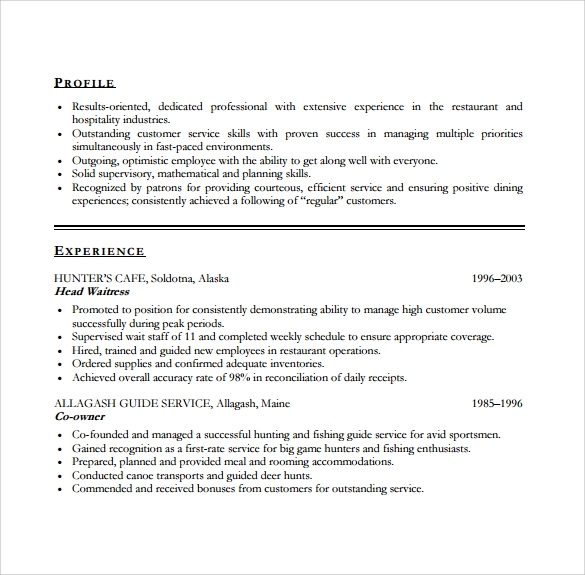 The resume should provide about your cooking skills, keeping customers happy and other hospitality skills.